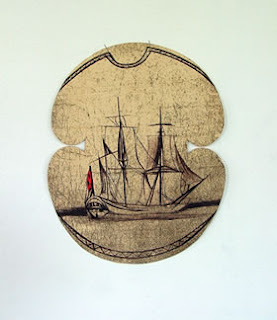 KETE: Considering Craft, is an Art Fair and Symposium as part of the New Zealand Festival and is on now at the New Zealand Academy of Arts in Wellington. 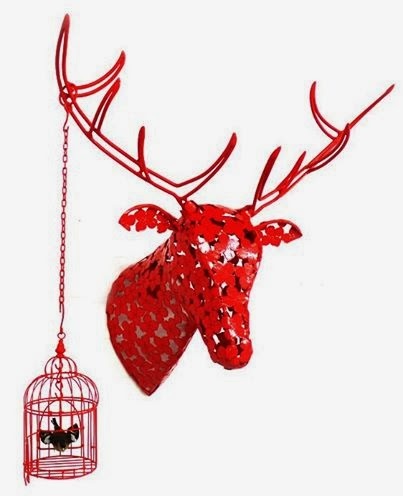 'Leaving wall flower' stag head by Sean Crawford, presented by Form Gallery. Stephen Bradbourne, presented by Masterworks Gallery. The accompanying Symposium lecture series brings together leading galleries, commentators, critics and makers to debate and highlight the current state of craft. International speakers include Yuji Akimoto from the 21st century Museum of Modern Art, Kanazawa, and Dr Sandra Alfoldy, editor of NeoCraft: Modernity and the Crafts. Further information on the lecture series and additional speakers is available here. One could think that 2014 is the unofficial year of sculpture in New Zealand. In January, New Plymouth hosted the Te Kupenga International Biennial Stone Sculpture Symposium, the Auckland Botanic Gardens continued to host their Sculpture in the Gardens three month event and last week the biennial Whangarei Sculpture Symposium 2014 closed, making summer extra special this year. In Wellington's Dominion Post today, Glen Hayward's four large macrocarpa sculptures have been installed outside the Museum of New Zealand Te Papa Tongarewa, thanks to the support of a $30,000 commission by the Wellington Sculpture Trust. 'Rita Angus Used to Grow Her Own Vegetables' contains pieces of broken crockery found by Glen whilst undertaking a residency at the Rita Angus cottage in 2012. Autumn also promises to be busy with a range of sculpture events throughout the country in some of the most majestic settings, surrounded by spectacular views and native forests. What better way to get outdoors and have a picnic with family and friends whilst taking in the amazing range of sculptural talent on show. Just 20kms from Christchurch city is the tranquil Tai Tapu Sculpture Garden whose mission is 'to support sculpture and enhance native biodiversity in Canterbury. Set in one hectare of native bush, over 5000 native plants have been planted since 2010 towards establishing a podocarp forest (including totara, matai, and kahikatea trees). 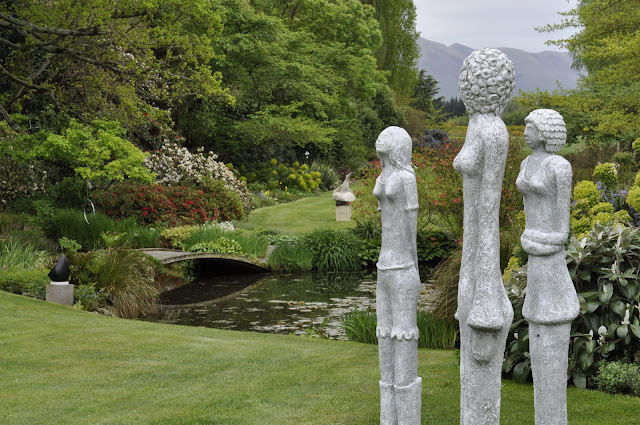 Against this backdrop, a sculpture garden is being established featuring permanent works and works for sale by five leading New Zealand sculptors: Graham Bennett, Bing Dawe, Ben Foster, Doug Neil and Llew Summers. Opening Saturday 1st March from 11am until 3pm, and held over the following two weekends at the same times, entry is only $5 and includes a catalogue. A coffee van and water station will be on site and parking is provided at 199 Cossars Road. 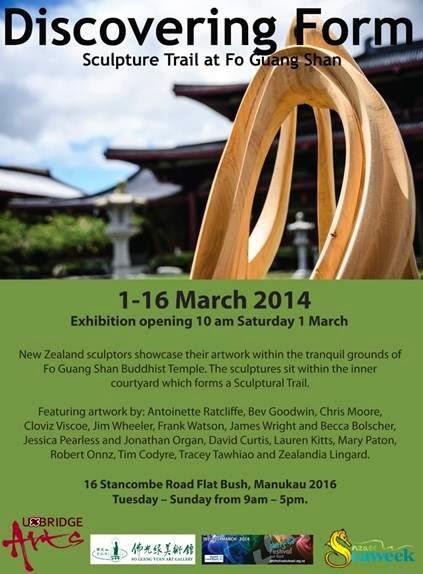 Located at 16 Stancombe Road, Flat Bush Manukau, Fo Guang Shan Monastery will be hosting 17 New Zealand sculptors and artists including: Antoinette Ratcliffe, Bev Goodwin, Chris Moore, Frank Watson, Jim Wheeler, Robert Onnz, and more. Opening at 10am on Saturday 1st March, the sculptures are located within the inner courtyard forming a sculptural trail. Visitors may also like to pop into the Fo Guang Yuan Art Gallery which opened in 2006. 1st Gallery in New Zealand is situated in Fo Guang Shan North Island Temple (IBT New Zealand). The Harbourview Sculpture Trail showcases sculpture and outdoor art by over 50 established and emerging New Zealand sculpture artists at the Harbourview People’s Park, Te Atatu Peninsula. The second biennial event, the Harbourview Sculpture Trail features spectacular city and harbour views and opens Saturday 8 March for three weeks. “The Harbourview Sculpture Trail stands apart as a unique trail as the sculptures chosen relate to this unique area and tell of the history and ecology. The pieces address social and political issues of Te Atatu and the wider Auckland area” says Sally Lush, Curator. Just 15 minutes drive from Auckland city, and open daily from 10 - 6pm, there are a range of additional activities for kids, guided curator tours, art displays by local schools and on March 15th, a 'Peninsula Beats Pop-up Night.' Tickets available now. 'Auto Pilot' by woodturner, John Ecuyer. 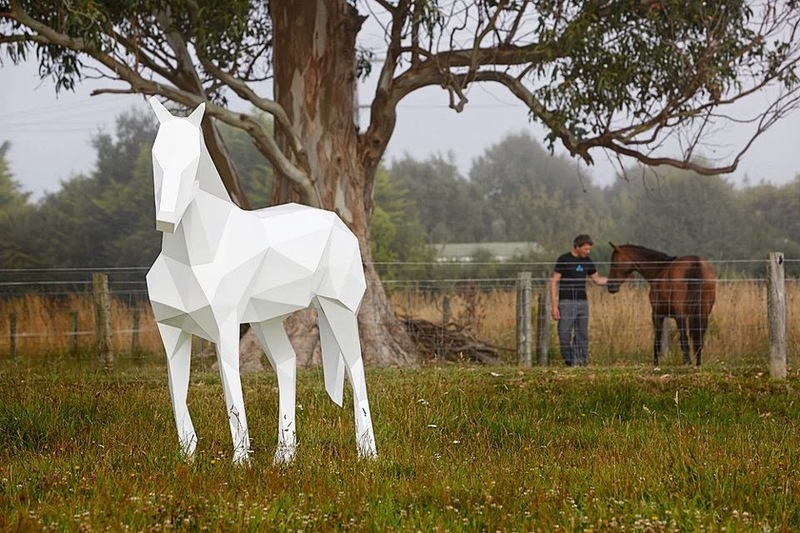 Offering a $3,000 National Award for 'an original free-standing or wall sculpture up to 450mm in any dimension', the Waiheke Small Sculpture Prize is a unique event in New Zealand. This year's selector is Monique Redmond from AUT University and the exhibition opens 21 March - 14 April at the Waiheke Community Art Gallery. Craft Aotearoa spotted a preview of one of the entries by John Ecuyer (pictured left). A reminder that Gibbs Farm is a private property that is open monthly by prior appointment only to artists, educational institutions, charities and the public. Bookings need to be made well in advance. 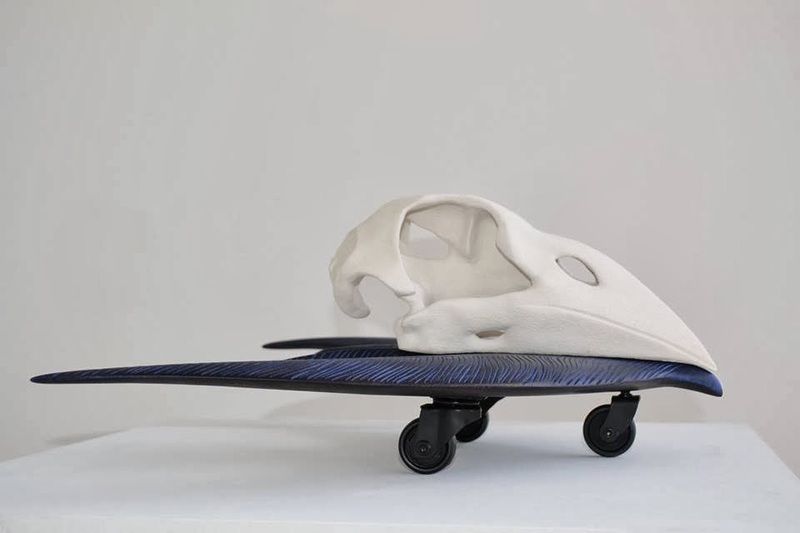 Embroidery on wood, owl sculptures made of wood shavings, enormous knitting and textile installations, lace balloons, anatomical jewellery, and short video tutorials are just some of what you are likely to see on the Craft Aotearoa Facebook page. 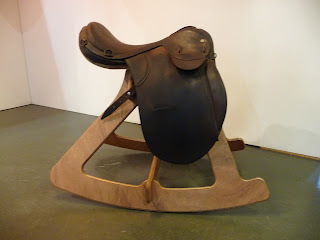 Every day we post a range of national and international craft news items. There are lots of opportunities we would otherwise not know if it wasn't for Facebook and we have made lots of connections this way. Thanks to our 823 followers for sharing content too. Here is a snapshot of what is on the page at the moment. Life in Vacant Spaces is on the lookout for entrepreneurial projects. If you are a designer or craftsperson who has always wanted to give it go with your own shop, get in touch with them asap. The Silversmiths Guild of Canterbury is up and running again at The Tannery Boutique Retail and Arts Emporium. Having relocated twice already since losing their home at The Arts Centre following the earthquakes, they are pleased to call the Tannery their new home and welcome students for Level 1 and 2 courses on Tuesday and Wednesday nights and Thursday mornings. Since 1983, over 1,000 students have learnt silversmithing skills with the Silversmiths Guild of Canterbury. Watch this short video to hear Arthur Harrison, Chairperson, speak about their new premises. 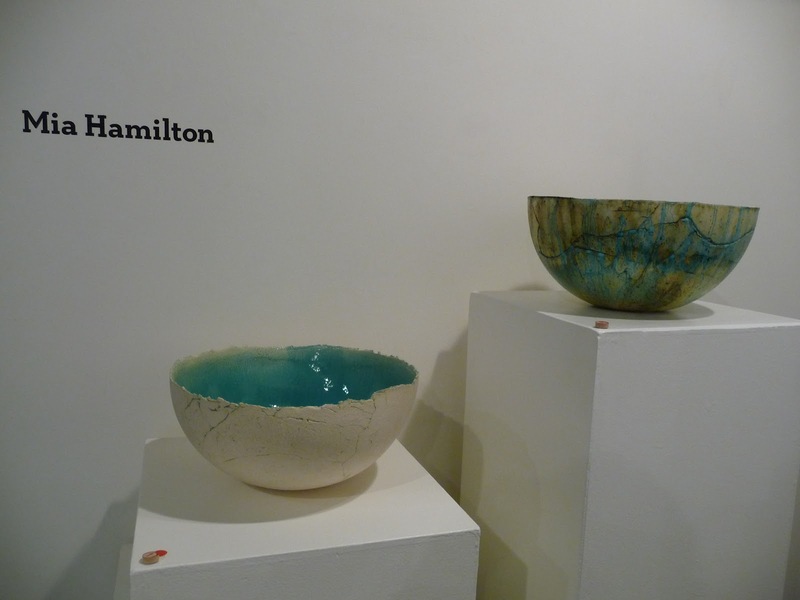 The Australian Ceramics Association seeks photos of New Zealanders work for consideration in their upcoming issue of The Jac and inclusion on their Facebook page too. Those already showcased include Darryl Frost, Nadine Spalter (whose work is currently on show at Form Gallery, Christchurch), Suzy Dünser, Helen Perrett, Roy Burgoyne, and Sue Lavender. Also, submissions for the Masterworks Domesticware competition close Thursday 28th February. Applications are also being sought by Masterworks Gallery for 'Neckware 10' - a group jewellery show from 5 - 29 June 2013. The aim of this annual exhibition is to 'showcase excellence and innovation in this particular form of adornment within contemporary jewellery.' Open to graduates, emerging and established jewellers, you will need to select one piece of work produced in the past 12 months and post it to Masterworks for consideration, along with an artist statement, by 1st May. For further information, contact Director, Eloise Kitson. WOULD YOU LIKE TO OWN YOUR OWN CONTEMPORARY CRAFT GALLERY? 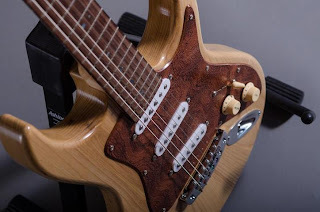 The Koru Gallery specialises in jewellery, art, homeware and gifts from around New Zealand, has an onsite jade carver (Graeme Wylie) and is currently for sale. There is a full shopping website that is included in the price that has yet to be launched and also an opportunity for investment into making the space into a cafe/bar with a workshop space at the rear of the building no longer in use. This fellowship is open to established and senior New Zealand practitioners. It's open to practitioners, curators and writers working in both traditional applied arts and contemporary practice. Genres may include ceramics, jewellery, glass, textile, metal and wood work and studio-based design.The amount/offer for this funding opportunity is$65,000. The next round closes: 8 March, 2013. LOOKING TO FUND YOUR CRAFT PROJECT? 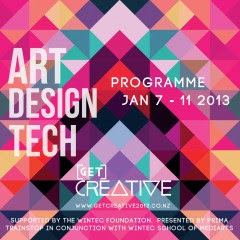 Applications for the Creative New Zealand Arts Grant close on 1st March. Fingers Jewellery, Auckland: new rings by Karl Fritsch. 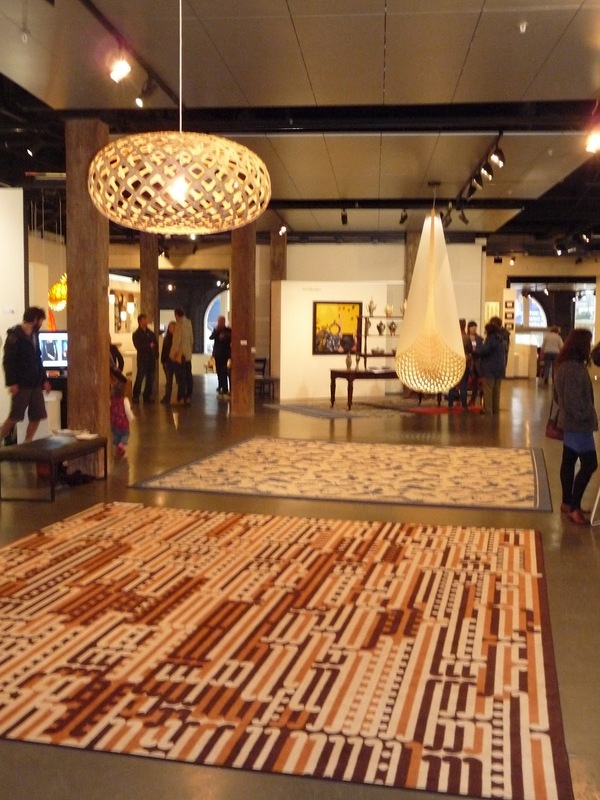 Objectspace, Auckland: annual 'Best in Show' exhibition. 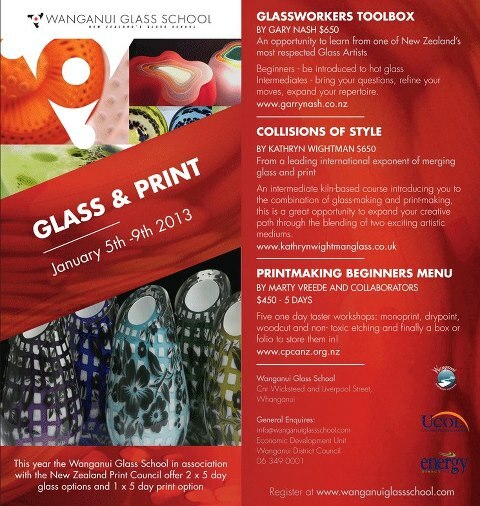 Piece Gallery, Matakana: 'The Vase Show' opening March 1st featuring glass and ceramics. 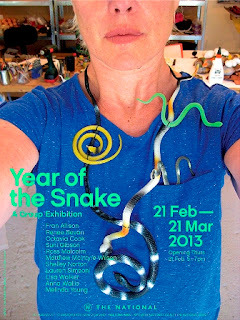 The National, Christchurch: 'Year of the Snake' group exhibition featuring top New Zealand jewellers. Somerset House, London: next month, Wool House will present a vision for wool as a modern, versatile, lifestyle fibre and it will feature a showcase of interiors, fashion and the world of artisan and craft making, along with a hi-tech educational suite. Each year, the Coal Prize Art and Environment rewards a project by a contemporary artist involved in environmental issues. The 2013 Coal Prize will reward entries that focus on ADAPTATION issues. Adaptation: This word is at the heart of contemporary thought and strategies used by nations, cities, businesses, and communities in order to cope with climate change. It is the subject of a movement, of appropriation, of adaptation by artistic creation. Would you like to learn a craft skill? Below are details of current and upcoming glass, printmaking, pottery and jewellery workshops but first, a reminder for those interested in teaching a craft workshop at HANDMADE 2013. 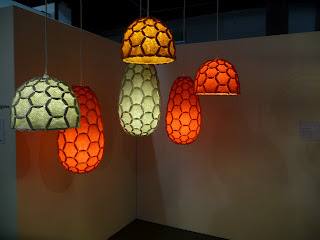 HANDMADE 2013 will be returning to Wellington on 1 & 2 June 2013 and online submissions are now being taken for class suggestions. If you would like to teach your craftsmanship skills in a workshop format then contact the organisers. Applications close on Wednesday 23rd January. HANDMADE 2013 is a festival celebrating beautiful and creative things made by hand.It is the place for people who want to learn the skills and crafts of previous generations but in today's context, using modern technology and style. The 2013 programme will feature a huge range of activities across a variety of craft disciplines. Attendees will have the opportunity to learn from expert and passionate teachers in a workshop environment and to make a beautiful, finished object with their own hands. In addition, throught the weekend there will be Masterclass demonstrations available. January has already seen a number of craft workshops launched in various regions. The Wanganui School of Glass launched two different five day glass workshops taught by Gary Nash and Kathryn Wightman. And in patnership with the New Zealand Print Council, a five day printmaking workshop was also taught this summer. Coming up are workshops in printmaking, jewellery, woodmaking and the business of art. Nga Rakau a Tu by Alexis Neal. from a traditional understanding to a contemporary art practice. It is an opportunity for students to work through a number of ideas and conceptual frame works to create their own artist language within this medium. Students will explore multi layered printing from relief surfaces and dry point using plexi plate, stencil cutting and other techniques to enhance their work.The studio day will be broken down by demonstrations in the morning to print preparation and followed by good experimentation working towards a good understanding of the print processes and to achieve a strong body of prints. Another workshop, The Business of Art, will take place on 2-3 February at the same venue. Sandy Rodgers will teach the basic business skills necessary for a person to continue on to the next step of creating or growing their income through their art practice. The purpose is to get artists using their creative skills and know how to see and understand business practice in a simple, professional and positive way. The workshop is aimed at a range of people from art school graduates, emerging artists, crafts people, hobby painters and more! The workshop will cover goal setting, networking and relationships, research, marketing and promotion, project and action planning, money matters, funding, sponsorship and presentation. Participants will leave with a clearer understanding of the business side of the art world. Jewellery courses tend to me more frequent with privately run courses available throughout the year. Here are a couple of examples in Wellington. Vilders Contemporary Jewellery Gallery regularly offer six week jewellery courses (morning and evening) and occasional single day classes. Students learn to make a variety of items including rings, brooches, earrings, and pendants - a great opportunity to make your own wedding rings. All students start with making a simple silver ring. Six week courses cost $270, and materials are supplied during the course at reasonable prices. Contact Dorthe Kristensen for further information. 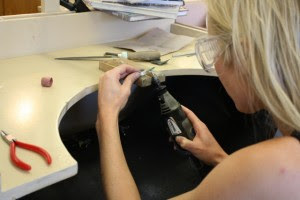 Workspace Studios Ltd offer a wide range of jewellery classes across all levels and have a handy online calendar showing their regular classes on Monday, Wednesdays and Thursdays. For example, coming up on 11 February is the next Beginners Silver Jewellery Class taught by Amelia Pascoe. Each class is three hours and runs on Monday evenings for eight weeks. The total cost of eight classes is $360. In this course, beginners will produce a sterling silver ring set with the stone of their choice. Skills learnt include soldering, filing, sanding, texturing, hammering and stone setting techniques as well as proper tool use and care, health and safety and basic design principles. Advanced jewellery classes cover additional techniques including chainmaking and riveting and participants will have the opportunity to develop their own projects and shown how to experiment with new techniques. The Centre for Fine Woodworking in Nelson has established itself as New Zealand's pre-eminent destination for learning about all things wood. There are a range of short courses available in 2013 such as the Beginner's Cabinet Making 1, 2 and 3 courses as well as Acoustic Guitar and Electric Guitar making courses. Establishing a solid skill base for all aspiring woodworkers and provide the foundation skills for fine woodworking are the aims of these short courses. Skills taught include the tuning and sharpening of basic hand-tools and the basics of accurate timber preparation, setting out and cutting a number of basic woodworking joints and assembly. Via Craft Aotearoa's Facebook page, we have become aware of the upcoming Festival of Pots & Garden Art. From 12 - 20 January this Otaki Pottery Club Fundraiser will take place at the Trinity Farm Rose Garden, 202 Waitohu Valley Road , Otaki. Clay artist Michelle Retimana says "I will be supporting my Pottery Club in this festival with my garden sculptures, and my husband may also display his very large wood, glass and recycled metal sculptures - these are fabulous garden features standing 2-3 metres tall. The beautiful Rose gardens are the perfect setting to display the wonderful assortment of pottery and Garden Art submitted by not only the Otaki Pottery Club members but also other artists. 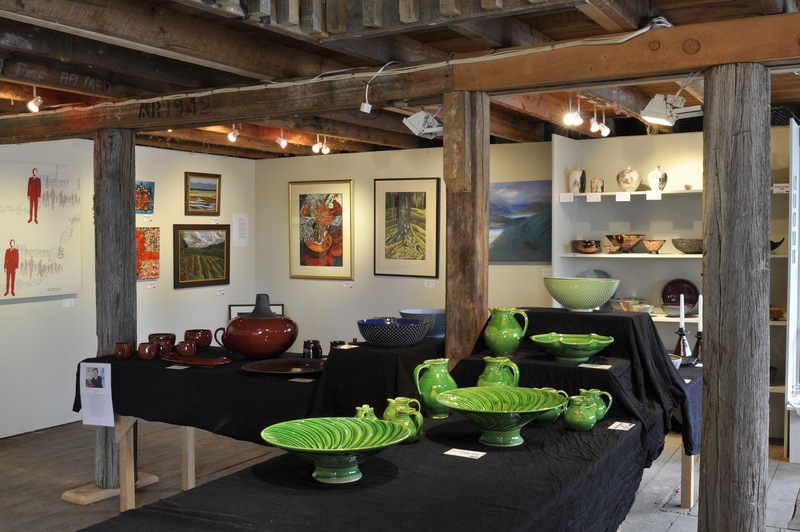 The 'barn' is a great 'gallery space' to display finer sculptures and domestic ware. There will also be continuous demonstrations throughout the day." 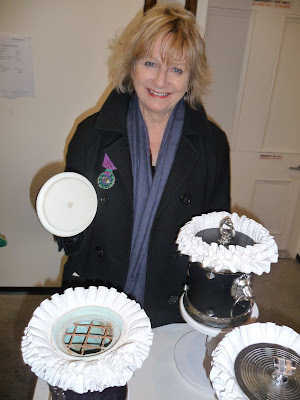 Craft Aotearoa hopes this blog will reach those interested in learning a craft skill, perhaps for the first time, as well as those wishing to extend their knowedge and skills. And if you would like to share your learning experience please feel free to post a comment or get in touch with us! Art in a Garden at Flaxmere Garden. New Zealanders love their gardens and heading out into the great outdoors. While some of us still have to spring clean our gardens ready for summer (note to self! ), the Art in a Garden team have been busy preparing their garden for months. And it is not just any garden! Picture seven glorious acres recognised as a Garden of National Significance. Now picture more than 75 sculptors, potters, jewellers, and artists exhibiting their work in this garden, accompanied by live music by Fiona Pears, workshops, and cafe style food in an event spanning three and a half days from October 25. 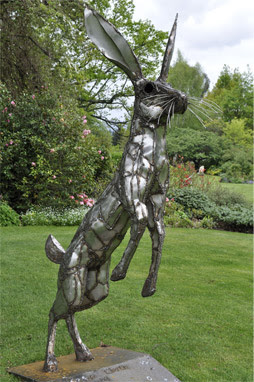 Standing Hare by 2011 winner Elisha Clarke. There is something inherently special about seeing crafted objects made of stone, wood, metal, clay and other materials displayed in a natural outdoor setting. Eight years on, this growing event based at the Flaxmere Garden in Hawarden, North Canterbury continues to deliver it's company objective: to showcase to the public the creative talent of many New Zealanders in a unique garden setting whilst fundraising for Amuri St John and The Cancer Society. Art in a Garden is now run by four people: Penny Zino (garden owner) and Alison Meyer (the two founding creators), Rachel Zino (daughter-in-law) and Pip Miller (Alison's daughter) and we caught up with Penny and Pip to find out more. Art in a Garden is in its eight year. How is this Garden of National Significance looking this year after so much rain? The garden is looking amazing - all the rain has made things bolt! The snow caused massive problems, but all has been rectified with the help of two very able sons & a tree surgeon! 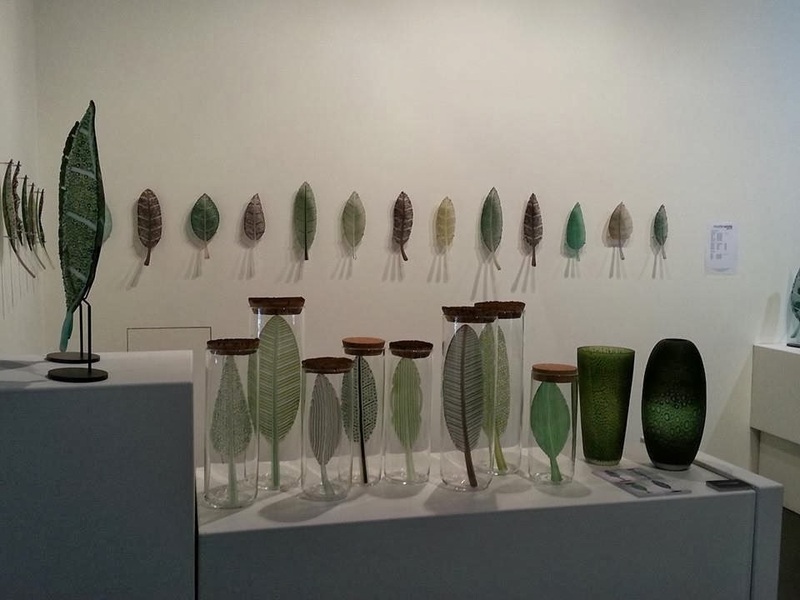 Being impressed once again with the incredible talent of our New Zealand sculptors, painters, potters glass artists, jewellers and furniture makers. Ceramics by Sue Newitt (foreground) on display in 2011 inside the 1890 barn on site. 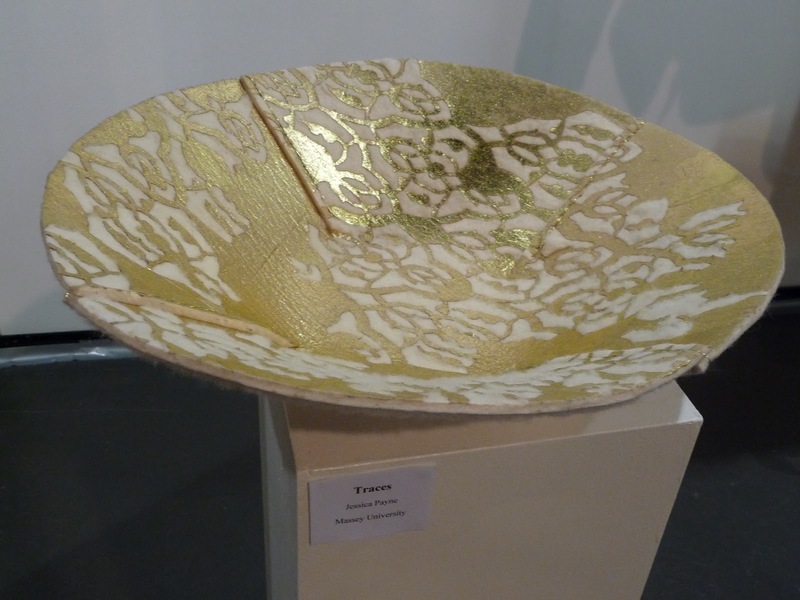 A range of craft disciplines are represented this year such as furniture, ceramics, glass, jewellery, and weaving. What attracts established and emerging exhibitors to your event? The professional approach to displaying all the exhibits.... both outside and inside. It is an instinct, displaying sculpture to enhance its being and this is done particularly well. The fact that sculpture is displayed in a garden gallery (Garden of National Significance ) and not indoors, which always gives exhibits a new meaning. Paintings, pottery and more craft objects are all displayed in an 1890 barn that has been adapted as an art gallery, with all the correct lighting. This has created a unique atmosphere. "Promoting an interest in the arts for our children is one of our top priorities." 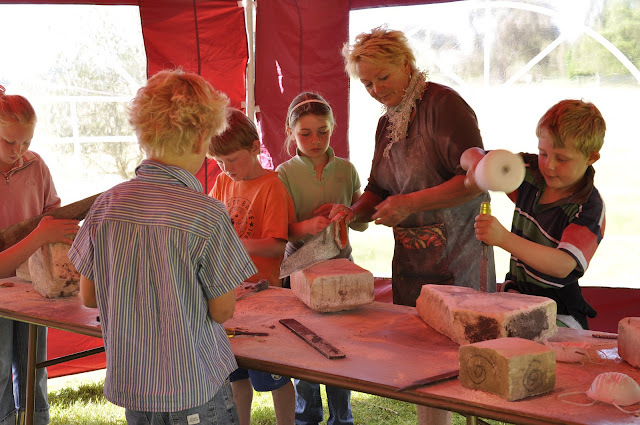 Tell us about the children's sculpture competition, limestone carving workshops and ceramic painting workshops. The sculpture competition for children is not really a competition so much as a chance for children to have a go at making something that interests them. There were no prizes but a chance for them to have their work displayed amongst adult artists. Last year created a lot of discussion and in some cases, a lot of laughs as one appreciated the sense of humour amongst the young. Art in a Garden has a special tent for the children’s activities. Often it is difficult to encourage children to come on a day's outing to a garden to look at art. While they enjoy a short time their parents enjoy longer, hence the classes where introduced to both encourage children to enjoy creating art while parents wander together with parents and children spending time together appriectiated the exhibition. Bon Suter teaching limestone carving in 2011. The ceramic painting classes will be a first for this year, so I am unable to comment! It will be a happy time exploring another medium. Craft Aotearoa loves the correlation between materials in the garden, and materials in crafted objects on display in the garden. How do the general public benefit from this type of event? Does it foster a greater appreciation of materials and the environment? Having all this happening in a garden creates a wonderful day out in a peaceful, non-challenging way. The public can appreciate beauty, peace and the creative energy of so many talented people. The café supplies all the food they may require and live music adds another dimension. Yes, it can put you in tune with nature and invigorate your soul.... maybe that is what great gardens are all about! What is your long term vision for Art in a Garden? 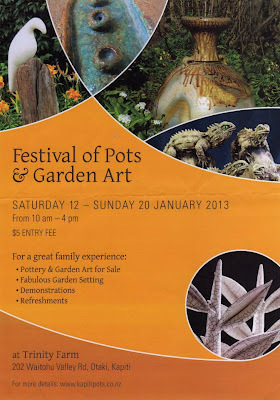 To make Art in a Garden the most successful outdoor exhibition / event in New Zealand! Christchurch Craft Two Years On - Part 1. Part One: To mark the recent two year anniversary of the first earthquake, Jenna-Lea Philpott reflects on the state of craft in Christchurch in this first edition of a six part series. Earlier this month, we marked the two year anniversary of the first earthquake to hit Christchurch and the wider Canterbury province. At 7.1 on the richter scale, the earthquake of September 4th 2010 will forever be etched in my memory. As with thousands of others, it marked the beginning of a surreal period of my life. In the next two years I would live through another four earthquakes (each with a different faultline) and more than 11,000 aftershocks. I would enrol with the Red Cross as an earthquake refugee following the February 22nd 2011 earthquake, as I lived in the north east of the city and experienced loss of phonelines (two weeks), power (two months), sewerage (three months), running water (seven weeks), as well as other things previously taken for granted such as an internet connection, and access to supermarkets, post offices and petrol stations. I know only too well how hard it has been for some residents to come back from the brink, and how important the support from other New Zealanders and from all corners of the world has been in the reovery process. Personally, I will never forget the generous support from corporate New Zealand in the form of food donations, nor the handmade banana loaf from Invercargill in my food parcel with a sticker on the outside in lovely old handwriting stating 'You are not alone. We are thinking of you at this time and walking every step of the way with you.' That small gesture meant so much - it spurred me on and made me so proud to be a New Zealander. New work by Christchurch ceramicist, Cheryl Lucas. No doubt about it - these have been surreal events. Not once in a lifetime events, but apparently once in 20,000 year events. Cantabrians lives have been changed forever and the sheer scale of the rebuild becomes apparent when one drives into the central city and encounters the Red Zone. Streets remain closed off to the public to this day, due to unsafe buildings still in need of demolishing. The central city is unrecognisable. If it wasn't for the street signs it would be impossible to know where you are with so many landmarks having disappeared. And the aftershocks continue to be felt. 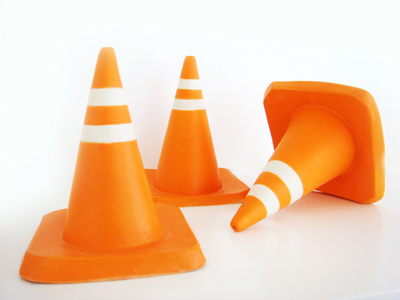 As with other industries, the craft sector suffered extensive loss of infrastructure. Gone are the old heritage buildings offering cheaper rent that fostered a myriad of individual and shared studio spaces. Home based studios have also been lost in many cases. The Arts Centre with its working studios, galleries and markets is unlikely to be operational again for many years - this heritage building may once again offer tourists a more intimate look at New Zealand through the materials and skills of its crafts artists after many years of repair. The loss of so many gallery spaces has also been keenly felt. There is also the loss of meeting spaces, teaching and learning spaces, and the impact that this has had on social connectedness, so valuable in times of recovery. The disruption of creative practice, learning opportunities and public exhibition opportunities is still keenly felt. 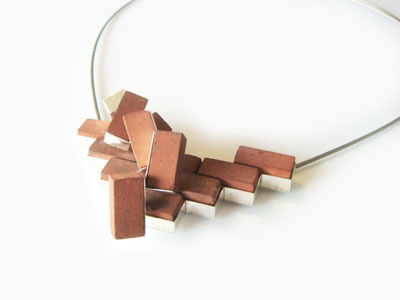 New work by Alan McAuliffe who recycles brick in this necklace. access to COCA art gallery as a space for emerging craft practitioners and artists. At the hearings, Craft Aotearoa stressed the public good (and benefit) in providing some infrastructure for the city's craft sector. For example, revitalised central city living, tourism generation, and economic development. We advised that as a minimum, those in the craft sector just wanted to get back what had been lost and ensure there was a place for craft in the future of Christchurch, that future generations would know this was a city where they could learn and develop their craft practice, and that the opportunity now existed to develop a dedicated craft gallery space in the South Island adding to the city's cultural precinct. For the first seven months of this year, we waited for the government's response to the Central City Plan. 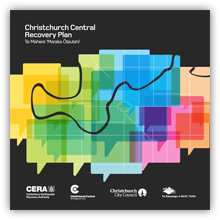 At the end of July, the Christchurch Central Recovery Plan was released to the public, outlining the following anchor projects: The Frame, Earthquake Memorial, Te Puna Ahurea Cultural Centre, Papa o Ōtākaro / Avon River Precinct, The Square, Retail Precinct, Convention Centre Precinct, Health Precinct, Justice and Emergency Services Precinct, Performing Arts Precinct, Central Library, Residential Demonstration Project, Metro Sports Facility, Stadium, Cricket Oval, Bus Interchange, and an Innovation Precinct. Whilst the performing arts and music sectors will receive new facilities in the central city in the coming years (very good news), there is little mention of facilities that will encourage craft practice and possibly the design and wider visual arts to recover and flourish. Little wonder that craft practitioners and business owners, gallery owners, and numerous guilds and industry groups have been increasingly questioning the city's commitment to recognising and supporting the recovery of craft in Christchurch. The reality is that without vision, without inclusion, and without evidence of public sector endorsement and support, the outlook for craft is less promising. At best the recovery will be slower than it need be - and that is a tragedy when one considers the innovative work that is beginning to emerge (watch out for our next blog in this series which looks at this in more detail). Finally, the Maori whakatauki (proverb) included in the government's Recovery Strategy for Greater Christchurch. Section 15: Cultural Recovery states: Kia mau ki te kura whero - hold fast to the valued treasures. It begs the question - what are we all doing to support our valued treasures in Christchurch craft? Thankyou all for coming to the launch of Craft Aotearoa and also Kete - especially to those who have come from around New Zealand to be with us here tonight for this very special celebration.Welcome Kevin Murray and thank you for your endorsement of Craft Aotearoa. We are very happy you could join us. We received apologies from the Honourable Christopher Finlayson, Minister for Arts, Culture & Heritage and MP for Christchurch Central, Nicky Wagner. Thank you to our lawyer Phillippa Wilkie of Chapman Tripp. We were excited to be accepted into the Champan Tripp pro bono programme, and to receive our registration with the Charities Commission nine months later. Phillippa researched internationally and steered us through the process of ensuring our aims and objectives will benefit the wider public. 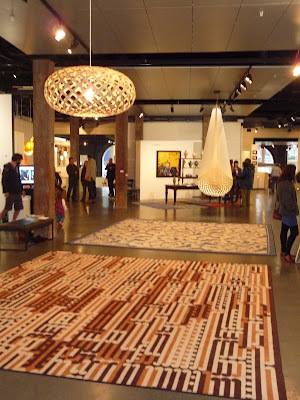 Kete Craft & Design Fair, NZAFA, Wellington. Also a wide range of individuals including Moyra Elliott, D Wood, Jillian de Beer, and others. We really appreciate all your feedback and support and look forward to exploring collaborative projects with you in the future. Get in touch with us if you are interested in elevating craft practice in New Zealand and fostering the retention and development of craft skills. We are interested in collaboration opportunities that maximise the use of funding and investment. 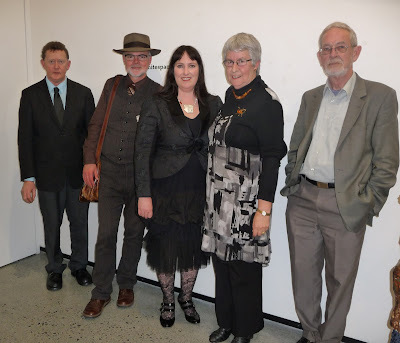 International guest speaker Kevin Murray and Craft Aotearoa trustees. Thank you also to our 570 ‘likes’ on Facebook page, and the 1,800 people that visit the Craft Aotearoa Blog each month. We love your feedback and keep sending us photos of your work as we do receive international buyer enquiries from time to time. Thank you to our presentation partners this year – Handmade 2012 here in Wellington, Objectspace in Auckland, and the Dunedin School of Art at Otago Polytechnic. Finally, thank you to the New Zealand Academy of Fine Arts for supporting the launch of Craft Aotearoa. We are delighted to be launching alongside Kete, a brand new craft and design fair in New Zealand. By discussion comes understanding, by understanding comes light, by light comes wisdom, by wisdom comes wellbeing. Craft practice embodies discussion, understanding, wisdom and wellbeing. Mia Hamilton on show at Kete. Thank you to my founding trustees Penny Eames and Warren Feeney for all their support the past two years and welcome to Peter Methven, our new Trustee and Treasurer. Of course, we wouldn’t be standing here today without the support of Phillippa Wilkie at Chapman Tripp, who believes in the values of craftsmanship and the role of craft in our society. I have greatly appreciated all her support – particularly during our phonecalls which were often undertaken during various earthquakes! Thank you also to Emma Ward from Creative New Zealand for her ongoing support, even in matters such as helping to keep me informed and to reconnect with others in the weeks following the February 22nd earthquake when I was without power, phone coverage, running water and sewerage. When I returned to New Zealand at the end of 2009, I became conscious of the gap in national craft support. Whilst working in the UK, I was employed to manage the development of a UK wide skills plan for craft, also known as the UK Craft Blueprint. Launched at the House of Lords, this document outlined issues that have also been commented on in a New Zealand context. Nearly 50% of respondents belong to an online craft community and 40% to a craft industry group. The research found the most popular method of craft engagement is attending craft markets and events, closely followed by attending craft exhibitions. 56% buy and collect craft objects and 70% prefer to buy from a dedicated craft & design retail store. More than half believe the range of training and professional development opportunities are either insufficient or not great. This has not been helped by the demise of community education classes. As part of the research, we included questions specific to Christchurch and Canterbury and found that 60% have been forced to find new space to make and to show new work and 40% are concerned about how to continue their craft practice in Christchurch at this time. The biggest concern is how the craft sector is being positioned and supported as part of the redevelopment of the city. (This outweighed concerns about access to local exhibition opportunities, funding support and other options). As Penny (Craft Aotearoa Chairperson) said, we are looking forward to establishing projects in response to these results and we welcome offers of collaboration and support, both financial and personal. Finally, thank you to Form Gallery and Elfi Spiewack who loaned me this beautiful necklace to wear tonight and also to my fiancée Ray, who couldn’t be here tonight but has been wonderfully supportive as I have worked on setting up Craft Aotearoa these past two years. All content is the copyright of Craft Aotearoa. Awesome Inc. theme. Powered by Blogger.